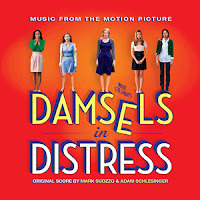 After a 13-year absence Whit Stillman (Metropolitan, Last Days of Disco, Barcelona) is back with Damsels in Distress. 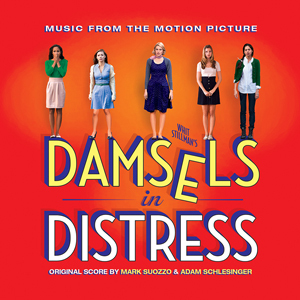 The film is a comedy about a group of beautiful girls as they set out to revolutionize life at a grungy American university by helping severely depressed students with a program of good hygiene and musical dance numbers. The girls become romantically entangled with a series of men-including smooth Charlie, dreamboat Xavier and the mad frat pack of Frank and Thor. Witty, sharp and sophisticated, the film bears all the trademarks of a Whit Stillman picture. A true delight! Such a delight and upbeat score and song feature, watch the trailer and you feel as I do... it will leave you wanting to dance or at the very least "make you tap your foot". Heck, that is what I am doing right now... please give this a listen and tap with me... while wearing your smoking jacket! MEAN GUNS: A good Christopher Lambert movie? Composer Lalo Schifrin - Gets Honored!